Girls In Action organized the first hike for this 5th season where everyone celebrated the joy of being amidst nature along with beautiful peoples. 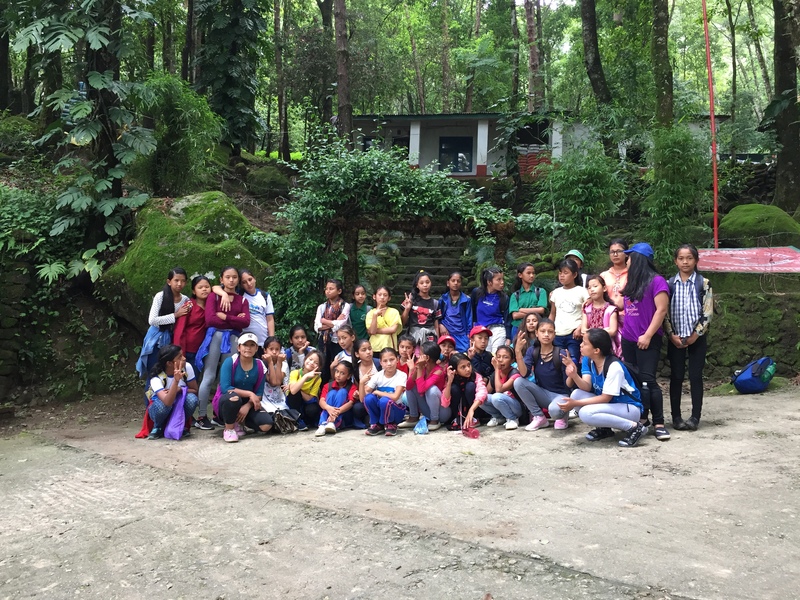 This field trip created a space where girls bring about joint energies, joy, excitement, queries, and self-observation within the team. The 3 kilometers hike took us about 2 hours walk to reach Nagi Gumba, a Buddhist monastery for monks, surrounded by dense forest and from where we could see the astounding view of the Kathmandu valley. The perfect weather accompanied the trip that added extra enthusiasm and for sure, most of them had a breathtaking first-time experience to remember in coming days. Thank you team ‘Kali’ who joined the girls and it would not have been possible without the support of our volunteers. GIA girls enjoyed your company. Back from the trip and still up for the group photo!